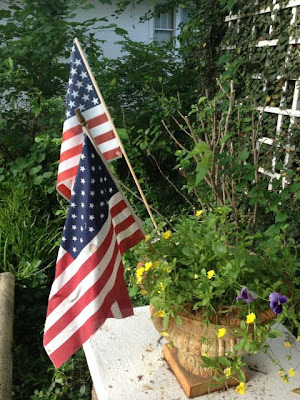 Lines from Linderhof: It's A Grand Old Flag . 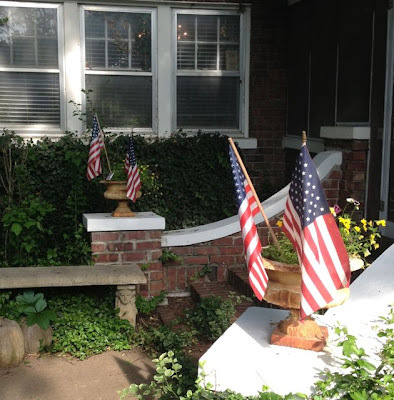 . .
And today is "Flag Day"
as the official flag in 1777.
we put smaller flags in the front planters. It's getting too hot for them to be happy. 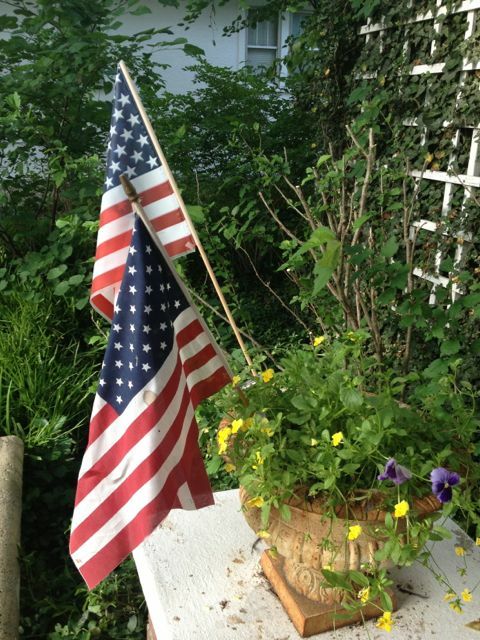 It's our way of celebrating a "Grand Old "Holiday"! on a blue and white plate! Although I am of German descent, we never had a cherry pie like this when I was small. but you could it them with frozen store cherries or fresh cherries -- but never canned cherries! Very acid cherries may require more sugar. Permit to stand for about 1/2 hour, until the sugar is dissolved. Stir gently several times. Drain and reserve juice. Now, wade in with your hands and work the dough until it holds together but no longer (or you can use the food processor as I did!). Chill it. Pat it into a 9 inch ovenproof glass pie pan. Let it come to the upper edge of the pan. See that it is spread evenly. Crimp the dough around the edge with the tines of a fork. 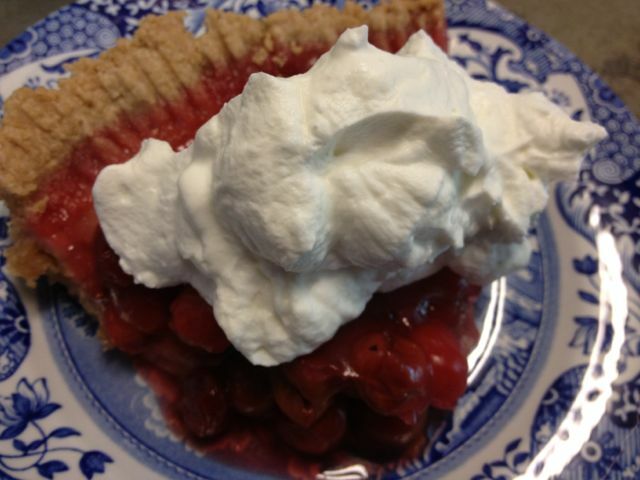 Place the cherries in the pie shell, pour the hot juice over them and bake from 50 to 60 minutes. It's Friday and I'm sharing my patriotic dessert (although it really didn't start out that way) with Michael at Rattlebridge Farm for Foodie Friday.